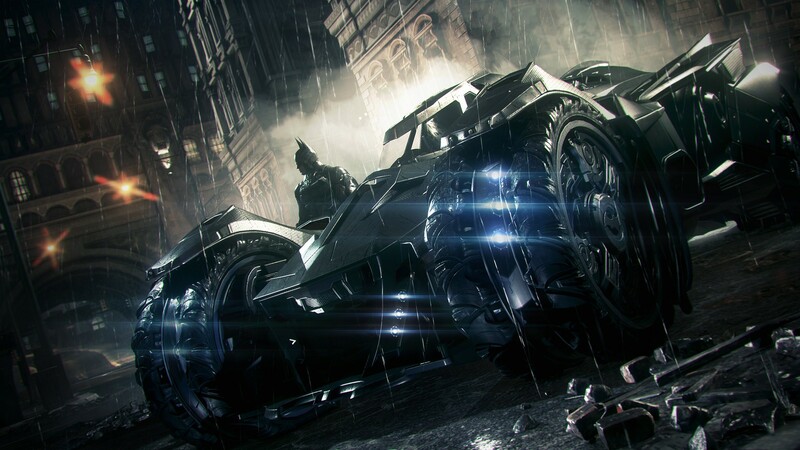 Finally arriving in video game stores and retailers worldwide tomorrow, the final chapter in Warner Bros. Interactive Entertainment, DC Entertainment, and Rocksteady Studios’ highly acclaimed “Batman Arkham” video game series is upon us, as a brand new launch trailer has gone online to promote the release of “Batman: Arkham Knight“. As one of the most built up comic book video game sequels in recent memory, Batman: Arkham Knight takes place one year after the events of Batman: Arkham City. With The Joker dead and Gotham City seemingly at peace, crime has seemingly declined… Until some of the Caped Crusader’s greatest enemies band together with the singular goal of eliminating their common foe once and for all. However, that is all eclipsed with the reemergence of The Scarecrow and his campaign of fear… As well as the appearance of the mysterious “Arkham Knight“. In order to put a stop to the chaos, Batman gathers all of his allies and uses new sets of technological equipment, including a powerful new version of the Batmobile, to save his city and fight against injustice.